Startupalooza/iBreakfast: Blockchain Breakthrough Report: Are ICO's The "People's IPO?" Blockchain Breakthrough Report: Are ICO's The "People's IPO?" Note: This event took place in NY on March 28. The next Blockchain Breakthrough event is in San Francisco at Twitter on April 9th. Details Here. Are ICOs a Kind of Crowdfunded Mini-IPO? 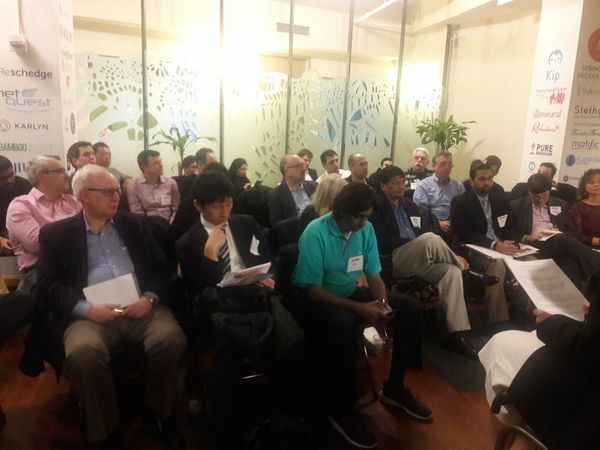 The first Conference and Startup pitching event in this new series produced by the long-running Startupalooza team played to an overflowing house last Thursday at Coalition Space Flatiron. The main interest was ICO’s (Initial Coin Offerings), how they have succeeded and how the growing intervention of SEC has raised the bar and brought uncertainty to the crypto community. What emerged was a story that showed how foreign counties may have taken the lead in ICOs because they had few other ways of raising capital. Certain Hedge Funds and Institutional Investors have backed initial offerings from the pick of the crop due to early discounts, SAFT notes etc. followed by rapid selling as these went to market. Cryptotraders have played a part in driving up values through momentum tradING – even though many offering are little more than a white paper and a website. In the span of a year, unregulated ICOs appeared that were cheap to launch, underwritten by these big Investors and then dumped on a hungry world market that was willing to essentially crowdfund these startups. But that was then. Today, the SEC is forcing ICO’s selling to US citizens to get registered and many are taking the Reg A Plus route (see the To ICO or Not To ICO Decision Tree offered below by software attorney, Paul Goodman of TechNY). The first ICOs were cheap to launch and promote. Today, the legal fees can run anywhere from $25,000 to $500,000 and the marketing has gone from that website-and-a-whitepaper – the ICO’s version of an IPO prospectus – to a full-blown marketing campaign that can run over $500K. (See CenterPoint’s marketing offer below). Despite the rising bar, interest seems to be mushrooming and ICOs are likely to proliferate as are new blockchain platforms. While expertise is scarce and trustworthy programming talent expensive, that too will come down as knowledge spreads and smart websites offer code-generating solutions. As this new industry evolves and the public’s appetite for cryptocurrency grows, it seems that what we are really witnessing is the emergence of true equity crowdfunding. 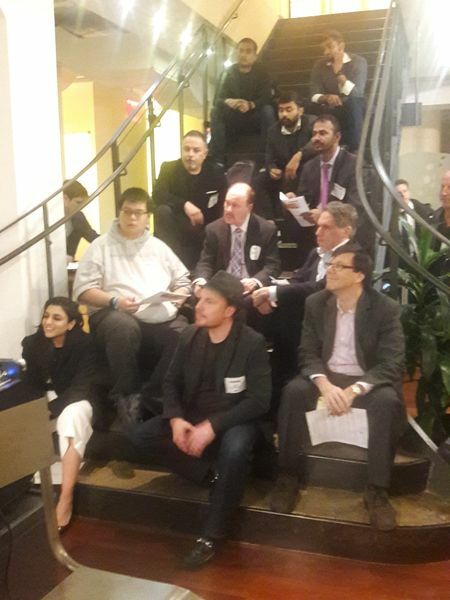 Thanks so much for entering the Blockchain Breakthrough event contest - each and every submission we received was awesome and it was a really tough decision for our panel! To say thanks, Survive and Thrive is covering 50% of the cost of winners ticket to Survive and Thrive's 3-day immersive entrepreneur boot camp experience for just $1250 ($2,500 value). This includes 3 nights' accommodation, two-way transportation from LAX, food + drink for the weekend as well as direct access to top-tier investors, mastermind workshops and keynote speakers! Click here to view more details. To confirm your attendance, just go here. RealBlocks leverages digital and fiat currencies that allows users to raise and invest capital in real estate from anywhere in the world. We're built on a proprietary hash graph and are launching with several marquee REITs and Brokerages in the US. Comment: A well-presented, well thought-out plan with strong industry backing for raising money in the cryptoeconomy for real estate projects. Cryptonomy is a community-based ecosystem that provides crypto-enthusiasts an easy, more insightful way to discover and invest in Blockchain projects. Fake news, scams, and the overall complexity of investing in ICOs result in a loss of trust and capital for many crypto-enthusiasts. Cryptonomy helps solve this by providing multiple layers of crowd-sourced content on a designated crypto-focused app used by tens of thousands of crypto-enthusiasts. The app is currently live on iOS & Android. Comment: A kind of Reddit of the cryptoeconomy that eanables players to communicate with each other and even validate credibility. Based on over 13 years of research, Kimera have made several breakthroughs in the field of Artificial GENERAL Intelligence (AGI). With a business strategy co-developed with the telecom industry, the company intends to combine AGI and Blockchain to disrupt how the global network operates, drive the next trillion devices to bring us to a future; where AGI is moving humanity forward. The solution focuses on a decentralized AGI solution, and a token utility that is a micro-version of a future economic model – one which Kimera believes will serve humans in a future where most jobs are automated. Comment: An ambitious if hard to comprehend plan to improve communications and using and ICO to fund it. MG Miller is a modern intellectual property boutique located in Manhattan’s Financial District. Working primarily with startups and entrepreneurs, they create intellectual property portfolios that facilitate rapid growth for our clients.